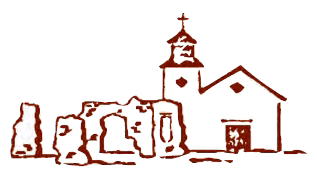 A showing of a rare video of “A Charles Poston Christmas” at the Tubac Presidio Schoolhouse. The late Shaw Kinsley stars in this play created by Shaw and Polly Schilitz in 2009. (Also appearing in this production are some familiar Tubac children: Cynthia Topping, Sasha & Griffin Wisdom, & Mitchell Riley). There will be a reception from 4:30-4:45 pm. in Otero Hall. At 4:45 guests will be escorted into the “parlor” (the Tubac Schoolhouse) to enjoy an evening with Mr. Poston.